What does Barcelona sound like? As a musician myself, in this article I'll tell you things like an anecdote experienced with a musician on a train and how is the current panorama of street artists in Barcelona. Topics such as how if you want to play in the Barcelona Metro you need to pass a test, where to find music in the streets of Barcelona and problems they face with the police. I'll also tell you about the legislation here and in other cities. On the other hand, I feel there are songs that make you remember a place. Themes that upon listening make you want to travel. For me, Barcelona sounds like pure and unfiltered street music. Musicians and singers sounding off in the Metro and on the surface, they put a sound track to your walk through the city. I end the article with a video and song that reminds me of Barcelona and my life from the hand OK Apartment. The best way to come and enjoy these streets and musicians is to rent an apartment and live the experience like a local. 3 Do you want to play music in the Metro? 7 Music Video - What does Barcelona sound like? A few days ago on a train from Barcelona en-route to Sabadell, a man in his 50s loaded only with his old, old, old guitar began to play a famous Spanish song called Entre Dos Aguas by Paco de Lucía. He closed his eyes and simply interpreted it with dedication and delicacy. When he finished, he opened them and was surprised to see that the four people who were in the car had been watching and were now applauding. He, on the verge of emotion, gave thanks and could not help but recognize that it was the first time that they not only paid attention to him, but also they smiled and applauded. "Generally people ignore you or do not separate their view from their mobiles", he said. They are among us, they see you pass, you listen, you know they are there, they know you are listening to them, so why ignore them? Maybe this is changing. On the Internet, lately videos are going viral in which musicians and singers manage to animate an entire Metro car. In the meantime the musicians have been, are and always will be with us - including those not on YouTube. Even if you can't throw a coin, sometimes throwing a smile is more than enough. 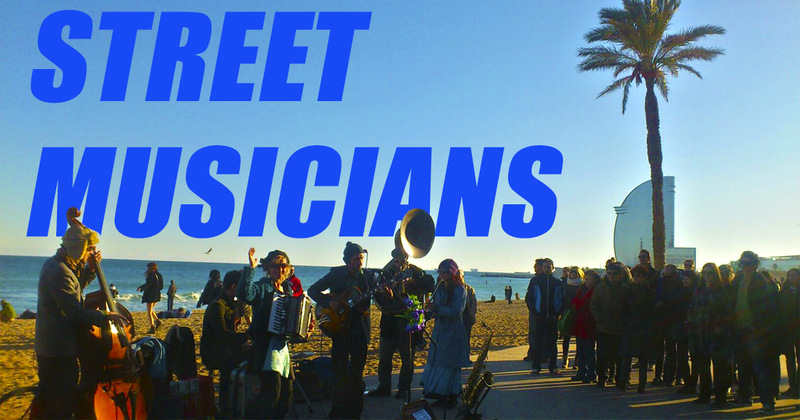 In the late 1990s and early 2000s, a group of them came together and created AMUC BCN (Association of Street and Metro Musicians, Barcelona) to organize and harmonize musicians who played in the Barcelona Metro network. They brought to light an obvious reality: What happened to underground musicians? They began to hold meetings with TMB (Metropolitan Transport Barcelona) and came out in a good position. Even so, they're defined as an independent association, non-profit, and only manage the annual quotas of their partners. They prefer not to respond to anyone who will confront the decisions made at assemblies held every two weeks. According to their website: "The main motivation of our existence is based on cultivating empathy, complicity, harmony, solidarity and union in diversity within a multicultural group, as exciting as it is, without doubting the international collective of musicians and musicians of Barcelona's metro. Do you want to play music in the Metro? Something that many people don't know is that to play around the Metro it's necessary to pass a suitabilty test. AMUC partners argue that just as you would not hire a butcher to have an appendix operation, a musician must be a true musician and demonstrate that he or she can be playing during a two-hour shift without repeating songs nor disturbing the metro workers who may have to pass through often. The jury evaluates the aptitude of each aspirant and includes some of Barcelona's school music teachers . Judges must commit themselves to being totally independent and not having any links to commercial projects, in order to have complete impartiality. During the day, weekends especially, under a sun that never leaves the city there's rumba, guitar, Bob Dylan style blues, trumpets, trombones, percussion ... An infinity of musicians try to spread happiness to those on a morning shop or cheeky vermouth. Usually they're along the legendary street of Port del Ángel or by the port and beach. These artists are skilled enough to place themselves at broad points where they can attract a decent crowd of people. 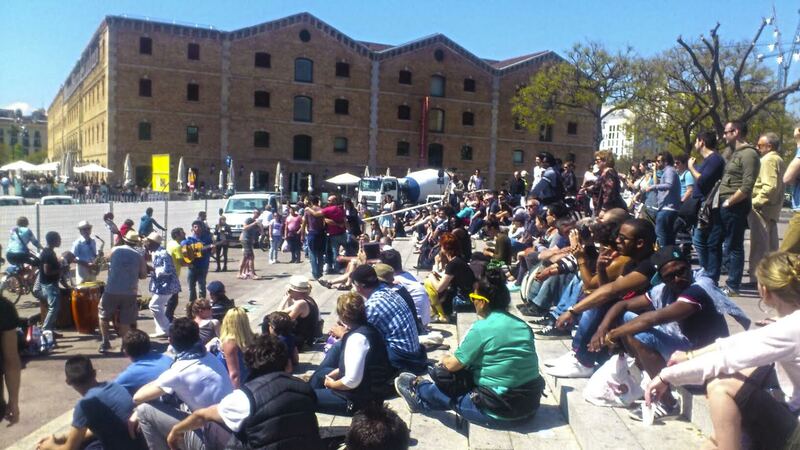 The result is improvised concerts and crowds clapping, dancing and smiling. As the evening begins to dawn in Barcelona, and the moon starts to appear, the magic of music comes with it at the foot of the street in Ciutat Vella (the Old City centre). Those evenings during the week, without the massive influx of tourists, is when you can enjoy a stroll around the cathedral. Surrounded by the walls of ancient Barcelona, one can find opera singers, violins and guitars endowing the Gothic Quarter with soul. Strolling through these alleys, rocking to such a relaxing soundtrack is, in my opinion, the only way to fully experience the city. Unfortunately, in recent months there have been increasing protests from some of these musicians because of problems with the city and regional Police forces. They have called out again the requisitioning of their instruments and many legislative obstacles against exercising a right to express themselves freely through music on the streets. 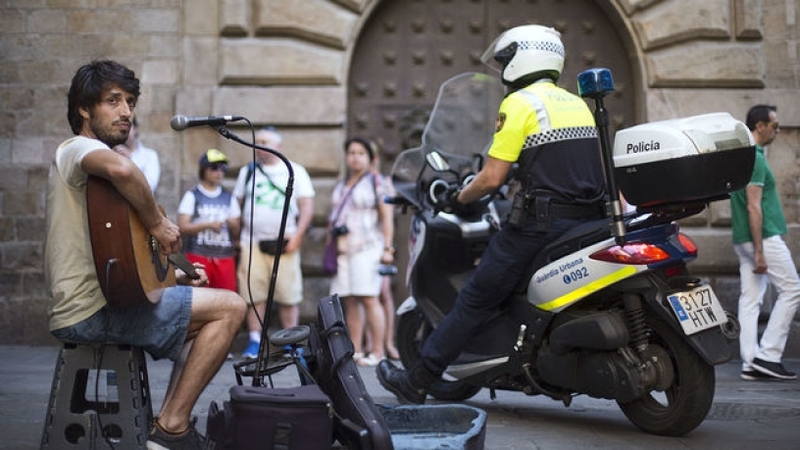 According to a news article from a local newspaper, between 2011 and 2015 more than 2,000 instruments were confiscated in Barcelona. 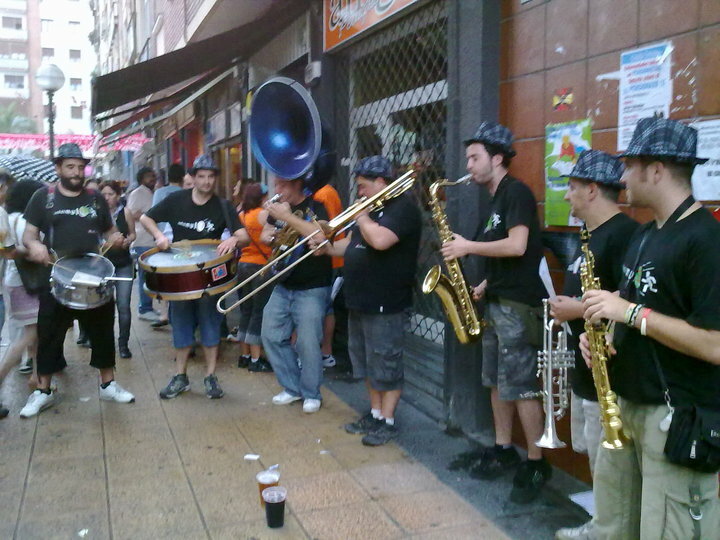 The law in Barcelona allows musicians to situate themselves on 23 points around Ciutat Vella. The hours are between 12PM and 2PM then from 5PM to 7PM. They can't perform for more than two hours in a row. For this, artists need to request an accreditation from the District of Ciutat Vella, which usually grant them during December in the Civic Centre Convent of Sant Agustí. A maximum of 140 permits can be raffled out each year. In New York it's a privilege to play in one of the 25 subway stations where it's officially permitted. Musicians there pass a casting as if it were a TV show. People also tend to 'look the other way' if one sets up in other places with and instrument, as long as it doesn't disturb the officially approved musicians who passed their test. Central Park is another iconic place to go and listen to New York's street musicians. In London , those aspiring to perform in the underground also have to pass a rigorous test, one that is chaired by scouts and professionals from the music industry. So rigorous are the London trials that it's said London Underground music is as iconic as it gets when it comes to street music around the world. These artists are very well regarded and appreciated. Each year, there is a contest in which musicians play during the day, upload their performances to the Internet, and people vote for the best. In Madrid, with the arrival of a new administration in City Hall led by Manuela Carmena, the castings from the previous city administration have been contested by the street musicians there. Now, if you want to play in the streets of this city you must present your CV to the council and they will proceed to study your request. An anecdote that was experienced in the famous street Calle Preciados was when the famous singer Mike Rosenberg, stage name Passenger, was fined by the police as he was preparing to make a surprise performance to promote his new album. He'd already done it in Glasgow, Sydney and London, but here it didn't even last 20 minutes. In the small city of Santiago de Compostela, for their part they have controls on bagpipers. Being an instrument so typical of the region, the law allows a maximum of six pipers playing at any time throughout the city. Music Video - What does Barcelona sound like? Art forms part of us and music becomes the essence of our places and travels. Sometimes, just listening to a song already makes you want to travel and if there's something we like at OK Apartment it's when you come to enjoy our city to the maximum. So when you come, tell us, what does Barcelona sound like for you? If you've already been: What did it sound to you? And if you're reading this remembering some other special place... What does that memory sound like? Barcelona sounds like this to me. this video in which I sing a song that I wrote for my friends in Barcelona when I had to leave once. It's a tribute to the city, to what we experience betwixt its streets and everything else that when I play these chords makes me remember. The video itself is everything that I've filmed this year while on the streets for OK Apartment, this office from which I speak out to you now! When your life is travel. When the world is your home. Rambla up there, Rambla down there. You go up to Gràcia via Enrique Granados. Open-air nights, Montjuic is nearby. And there's still all the Raval. And this weekend for dinner. Manchego cheese and lots of Catalan. One more and another that'll come. The experience you'll never erase. subes a Gracia por Enrique Granados. Nits a la fresca, Montjuic queda cerca. y aún queda todo el Raval. Vas borracho ¡Qué más da! de la papelera otro pack. Y este finde a cenar. un manchego y mucho catalán. el viaje vuelve a llamar. Grocery shopping in Barcelona: Price comparison Where to buy groceries in Barcelona, with prices, quality and reasons. Everything you need to know.